Everyone knows I am a map freak. I will sit for hours studying a map as I try to decide where I will go next. In a small town in Western Tennessee lives a man who far surpasses me. 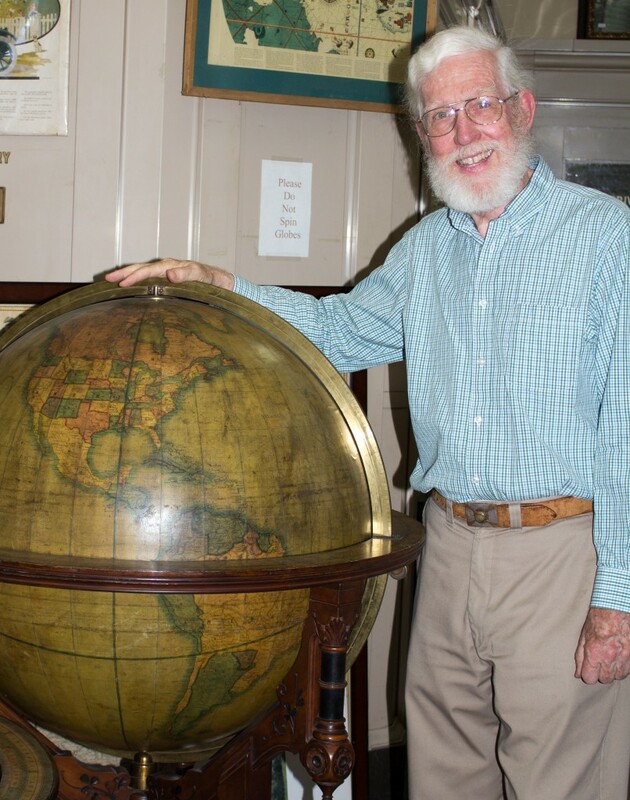 Murray Hudson, a life long resident of Halls, Tennessee owns murray hudson Antiquarian Books, Maps, Prints & Globes. When I walked into the first of three buildings, my jaw dropped, and my face lit up! 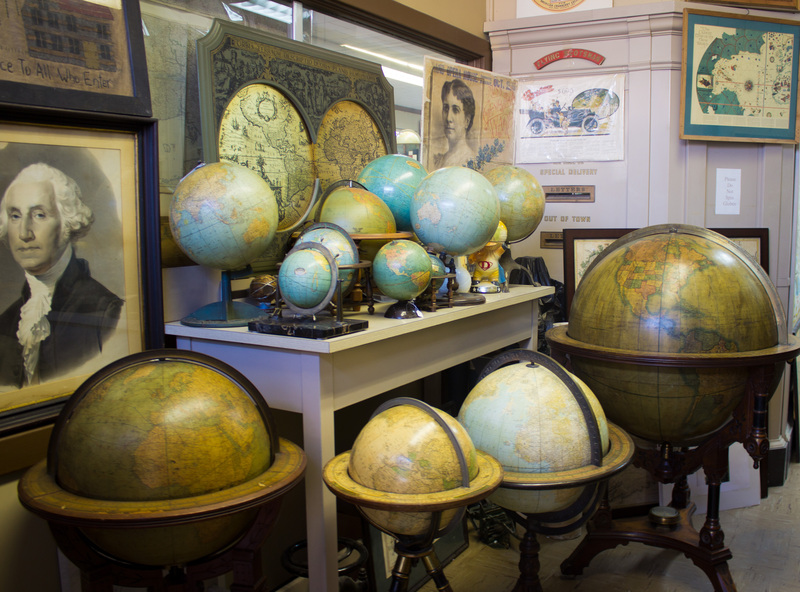 With over 700 globes and over 30,000 maps, there is no other place in the world that is like this. Have you ever seen the entire Harper’s Weekly on the Civil War? I have, and Murray has them for sale. Mr. Hudson started his collection in 1964, after spending a summer in England while attending school, and started selling his items in 1979. 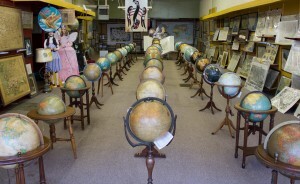 People from all over the world contact Murray wanting to sell their maps and globes. The price range for a beautiful piece of his collection starts at $25.00 and goes up the whopping price of $75,000. YES, $75,000. And a beautiful globe it is! He admitted, “It’s really not something I want to sell.” and therefore the price stands. 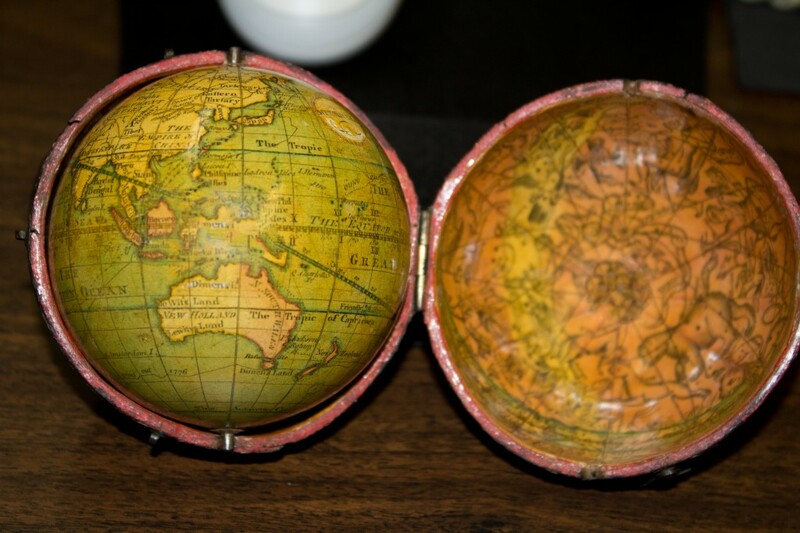 I asked Murray which globe is the oldest, and he pointed to a box. Inside this handmade “deck box” was a globe with this wording, “To His Most Sacred Majesty, George The Third. 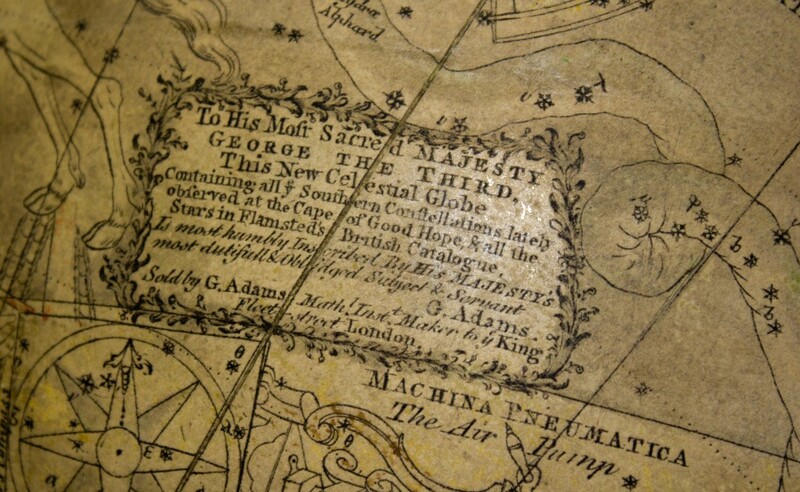 This new celestial globe containing all Southern consolations lately observed at the Cape of Good Hope and all the Stars in Flamsted’s British Catalogue, is most humbly inscribed by His Majesty’s most dutifull & oblidged sulyed & servant. 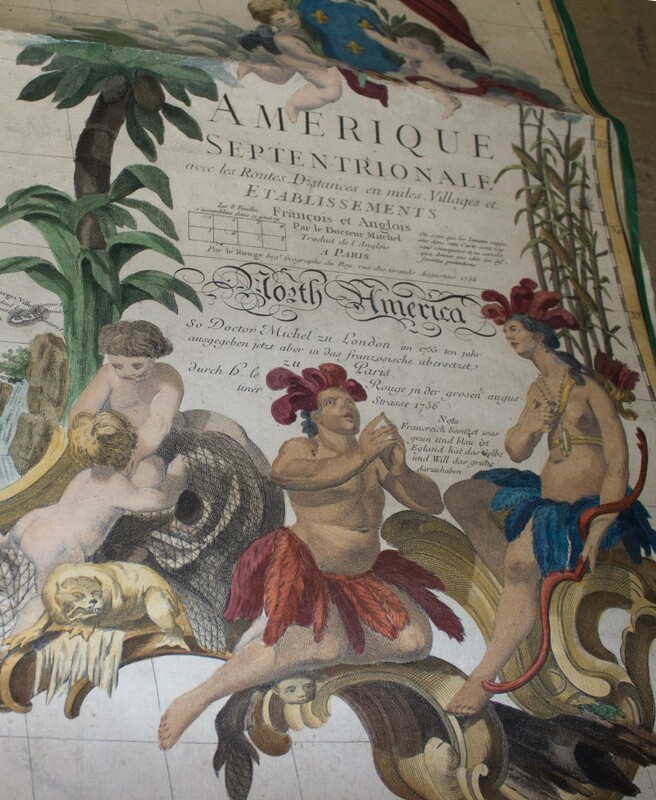 G. Adams” The globe is dated 1765. That was when Captain Cook was making his first circumnavigation. 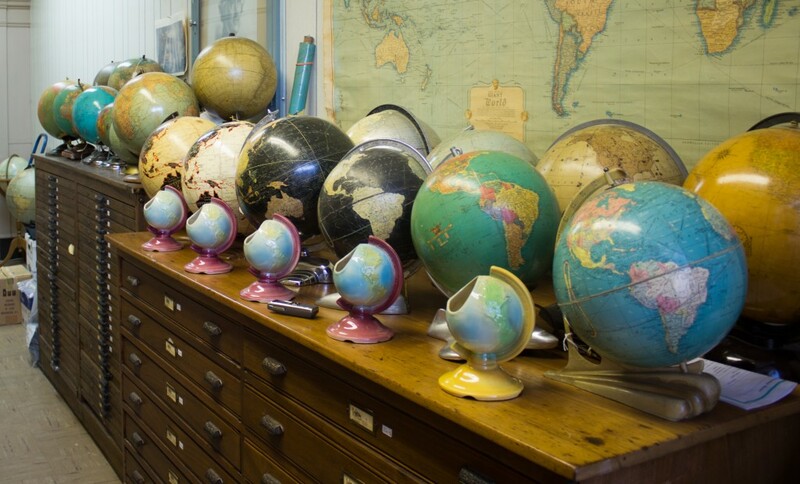 The Maritime Museum in London, is the depository of British made globes. 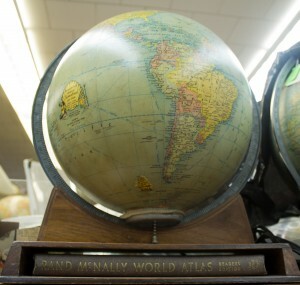 Ten years ago, Murray sold them a one-of-a-kind globe. 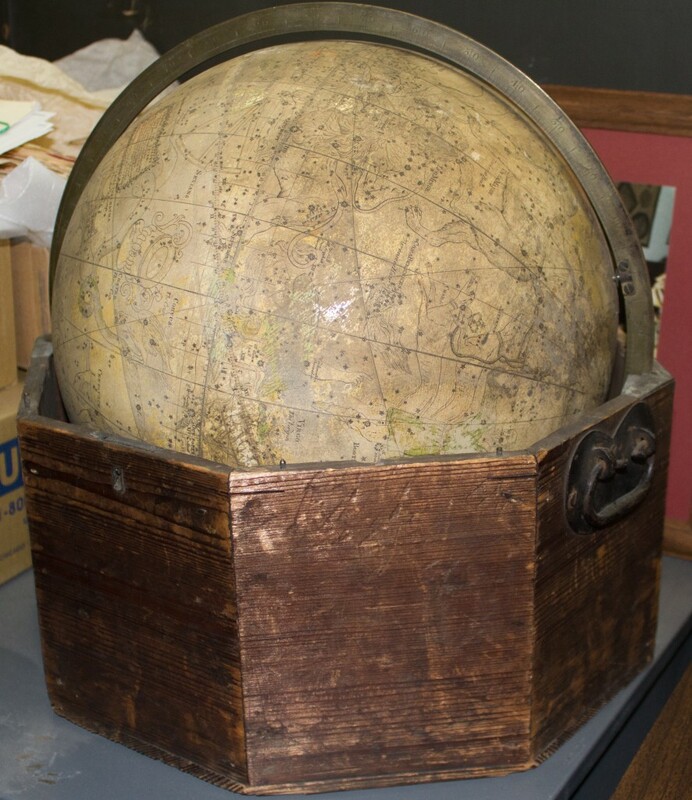 This particular globe was a pocket globe, and was made in 1694. How cool is that?!? 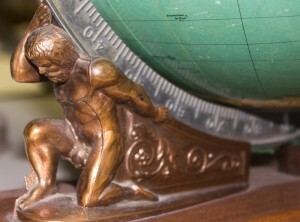 The pocket globe is one of the most sought after and expensive items he has. They range from $12,000 – $15,000. 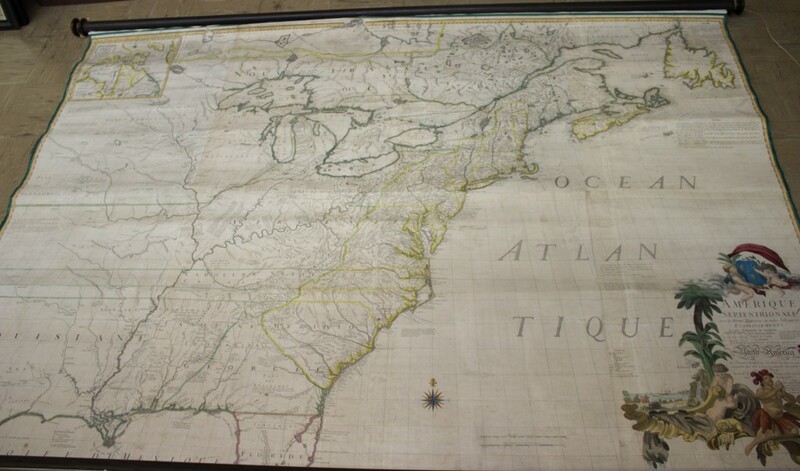 The University of Alabama has scanned over 12,000 maps, but they can’t do the wall maps. A scanner bed is 42″, and a wall map, well, is much bigger. Plus, wall maps are attached to “something” so they can hang on a wall, usually a decorative wooden dowel. As I write this story, I am still in awe. 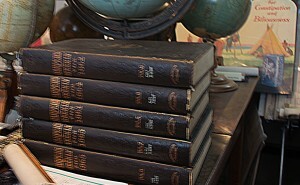 I have no way of describing his vast collection, and the fact that almost every item has been catalogued and put on his website. There is one item I am interested in and will call about. I don’t know where I will put it, but…. 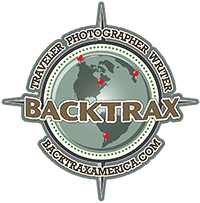 The best places you will find are on the atlas following the red lines!